What is the Mutographs project? In this Cancer Research UK ‘Grand Challenge’ project we hope to uncover some of the unknown causes of cancer. We will do this by searching for tell-tale signatures that are left in DNA by factors linked to cancer development. We will use cutting edge technology and global scientific expertise to help us to achieve our goal. We are also making sure that people affected by cancer are at the heart of the project through involving patients and the public in our work. Together, this knowledge will help us to understand how people can reduce their risk of developing the disease. How is DNA linked to cancer? Our DNA contains all of the instructions to make us who we are. It’s what determines things like our eye colour and blood type. DNA is found tightly packaged within the cells in our body and is essential for controlling how our cells function. Cancer arises because something has caused changes to DNA (another word for these DNA changes that you might have heard of is ‘mutations’). Certain DNA changes can be very damaging to cells and stop them from working properly. Sometimes, these changes cause the cells in the body to grow and divide uncontrollably. This is what leads to cancer. We know some of the things that can lead to these cancer-causing DNA changes. One well-known example is the chemicals in tobacco smoke. However, many causes are still unknown. Advances in technology mean that we can now examine DNA changes in a huge amount of detail. These studies have discovered that certain factors leave distinct patterns or signatures of changes in DNA. In the same way that our own signatures can be used to identify us, researchers can identify potential cancer causes from these DNA signatures. 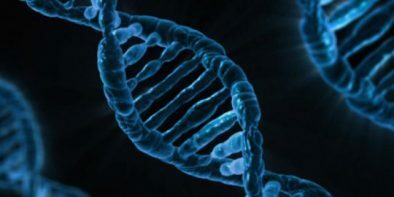 We know the factors behind many of these DNA signatures, for example tobacco smoke and ultraviolet light from the sun. However, we have also uncovered many DNA signatures where we don’t know what has made them. One aim of this project is to identify the culprits behind some of these unidentified signatures. Another aim is to uncover new signatures. How will this knowledge help us to understand cancer? When someone is diagnosed with cancer, they will often have some of the cancerous cells surgically removed in a procedure known as a biopsy. These cells can then be examined in great detail so doctors can understand more about the type of cancer the person has. Scientists can also use these cells taken for the biopsy to examine the person’s DNA. In this project, we are collecting cells from people affected by five different forms of cancer. These are bowel (also known as colorectal), pancreas, kidney, oesophageal squamous cell carcinoma and oesophageal adenocarcinoma. We will compare the DNA in the cancer cells to the DNA from cells taken from blood to find out if there are any differences between them. As well as collecting cells, we will be asking the people participating in the study to fill in a questionnaire that gives us detailed information about their lifestyle and the environment that they live in. We will analyse the DNA from cells donated by the participants to find out if it contains certain signatures. We will then investigate whether certain factors that we suspect might cause cancer are linked to the presence of these signatures. This information might help us to find the reasons why some people appear to be at higher risk of cancer. We will use a variety of techniques to investigate whether factors that might lead to cancer are responsible for a particular DNA signature. For example, we will expose mini-organs grown in the lab (also called organoids) to these factors, then search for signatures in their DNA. We will also study DNA from cells taken from mice that have been exposed to some of these potential factors. The changes that are seen in DNA are also known as ‘mutations’. In this project, we are building up a picture of these mutations in order to find causes of cancer. The project name, Mutographs, was inspired by this mission – it is a combination of ‘mutation’ and ‘photograph’! Can I donate samples for the Mutographs project? Our list of Partner Institutes shows the places where people are being recruited for this study. If you are receiving treatment for cancer at one of these institutes, please talk to your doctor or healthcare professional about whether you might be able to take part in the Mutographs study. However, please be aware that not all sites are currently recruiting participants and not all types of cancer are being collected from each site. Therefore it may not be possible to take part. If you’d like to take part in research studies in general, the websites listed here have more information about how to find clinical trials and research projects. Alternatively, talk to your doctor or healthcare professional about opportunities that might be suitable for you.